The projects section of a site has many names and even more faces. It rivals Medusa. The section may be called jobs, projects, what we do, experience, portfolio, case studies, success stories, gallery, photos or any combination of these terms. Regardless of the name, the section’s goal remains the same: show people the awesome work produced by your company. Why Do Construction Companies Need a Projects Section? For some construction companies, the answer is obvious while for others it may be a toss-up. A well-maintained projects section can be a lot of work. The photos, descriptions and testimonial gathering can seem endless for a busy company. The trick is figuring out if the investment pays off in new business. If the end result of your service of product photographs well, or you use lots of photos in your sales process you probably sell a highly visual product. Pretty sells for companies such as specialty pavers, architects, or residential construction and remodeling. People are visual and they want to see what you can do, give them a glimpse of the end result. A projects section allows visitors throughout the buying process to develop a relationship with your company brand. When visitors begin the buying process they’re looking for ideas. 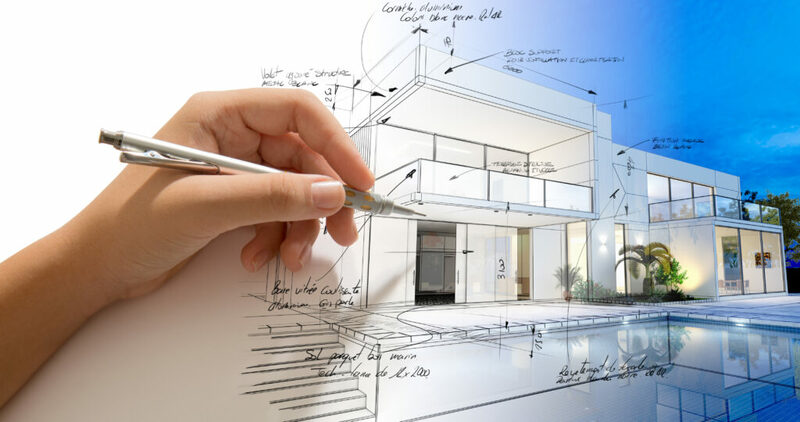 A projects section can provide the visuals they need and shape their buying criteria. As they near the end of the buying process they can use the same photos to evaluate your ability to meet their criteria. Take it one step further and pair a testimonial or client logo with your completed project. An impressive project from a happy and well-respected company will go a long way toward proving the value of your work. Prospects look more favorably upon companies who have done business with other people they know. The longer you can keep an audience satisfied the greater your chance is to influence their buying decision. Projects sections keep visitors engaged and navigating from page to page, lengthening your opportunity to capture the eye of the prospect. 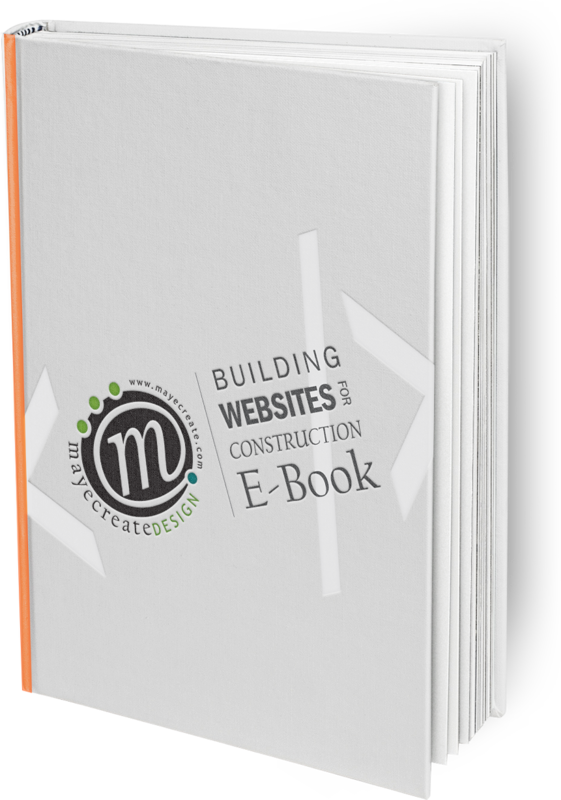 Compared to other pages in a construction website projects section pages generally, have a low exit rate. Meaning visitors are less likely to leave a site through a page in the projects section than from the other pages in your website. Google rewards sites who have deeper relationships with viewers. Yeah, that sounds like a load of hewy, doesn’t it? But really, Google judges the relationship you have with your viewers by the amount of time they spend on your website, how many pages they visit and if they return (as well as about a million other factors that may or may not have anything to do with a projects section on your website). Visitors don’t spend a ton of time reading over each project, usually less than a minute, but those minutes add up. And as we mentioned earlier, visitors tend to stay more engaged in a projects section and navigate from page to page, increasing the number of pages they see per visit. 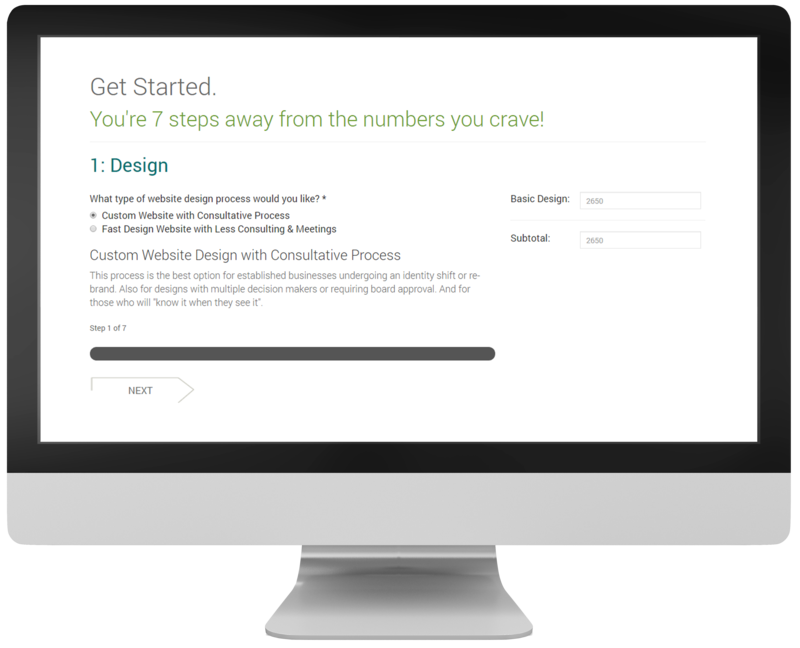 Plus, continually adding projects to your website can give visitors a reason to return. If you do social media or email marketing you’re always looking for a reason to talk to your audience. The best reason is something that will bring them back to your website where you can sell them more stuff. By harvesting information for your projects section you’re creating content for your other online marketing as well. Post the photos, testimonials and brag on the project, linking each update back to your website. Displaying your projects on a map can leave an impression upon viewers. It shows both the large number of projects you’ve completed, translating into experience and the variety of locations you’ve worked in. 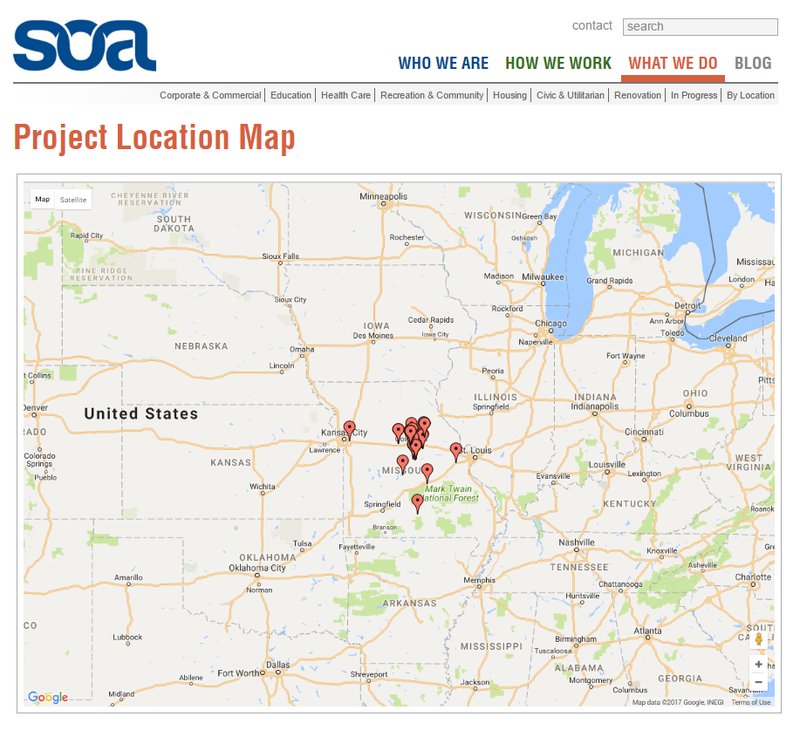 By displaying their projects by map location, Simon Oswald Architecture proudly displays their reach across the entire state of Missouri. Regardless of what you call it, a projects section has many benefits to enhance the effectiveness of your website. But like everything else, it does take time and effort to keep it up-to-date. Though hopefully showing off your completed work will pay off for you in new business.